Now that summer is among us, it's a great time to take your event outside! If you're stuck on coming up with theme ideas for your summer event, we have put together a few of our favorites to give you a bit of inspiration! 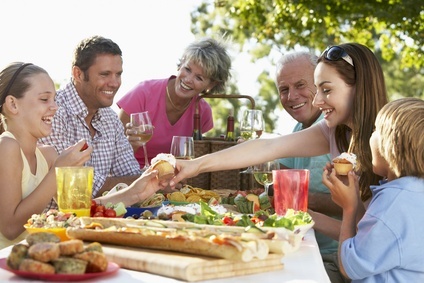 If you're looking for an inexpensive way to feed a large number of guests, a bbq can work wonders. By having everyone bring their favorite dish and providing classic bbq staples like hot dogs and burgers, you will be able to keep costs low without sacrificing amazing food. Whether you're young or old, everyone loves a tea party! Tea parties are great for all ages and they provide great photo ops. Serve finger foods like sandwiches, cookies, and vegetables along with tea in vintage teacups and your guests will be amazed! If you or someone you know is lucky enough to have a pool, a pool party provides fun, entertainment, and it is also a great way to cool off from the warmer temperatures. Miniature floating drink holders, pool floaties, and inflatable decorations like palm trees can be added to the pool area to make it feel like a tropical vacation. Take advantage of the beautiful summer sunsets by hosting an outdoor party at sundown! Since nature will play as the main backdrop, you will be able to save money on decorating expenses. After the sun goes down you could have a firepit and roast marshmallows for smores! 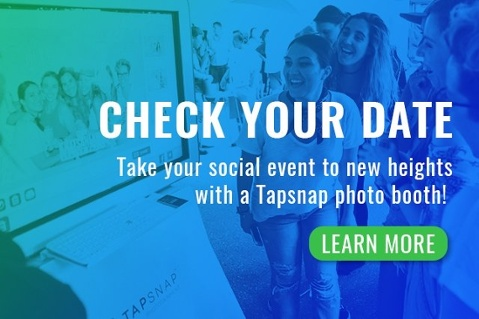 If you're looking to add something unique to your event, TapSnap offers completely customizable photo booths! From animated GIFs to custom-made green screen backgrounds, our photo booths will wow all of your guests. You can find out more about what we do here or you can check your date below!